USB is nowadays the world’s most popular communication interface. A USB cable is in almost every house. It can be used to connect almost any peripheral device to a computer (like mice, keyboards, printers etc.). It is also used to connect a computer to mobile devices, like photo cameras or smartphones, so that data exchange was possible. 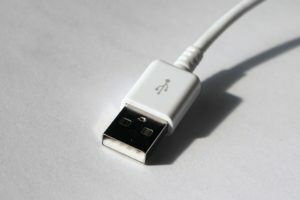 USB cables also make an inevitable element of chargers for mobile devices, like tablets or smartphones. All you need to do is to connect a USB cable to appropriate type of socket and to a device and start charging. Moreover, this type of cable is widely used in industrial solutions. The MCI offer also includes the manufacture of USB cables. We offer to our customers top class USB cables with technical parameters individually adjusted to individual specifications. We encourage you to cooperate with us. 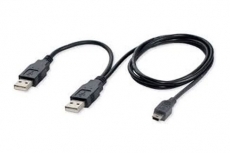 What USB cables do we offer? cables manufactured on individual orders, like cables for printers. MCI is a cable manufacturer, which for almost thirty years has been a leader in their sector in Poland. We operate across Europe and a large group of customers who keep returning is our best recommendation. delivery of our products across Europe. Please, contact our consultants in order to receive a full offer and a price list.